Home > Freemasonry	> Brotherly Love, Relief, or Truth? One of the reasons that I look forward to going to the hospitality rooms the evening before Grand Lodge is that it’s like going to weddings and funerals: it’s a way to meet and reconnect with brothers that you haven’t seen in some time, and the atmosphere is favorable to some social lubricant (often of the Scotch variety) to help the conversations along — especially the kinds of conversations that you don’t normally get to have at, you know, actual lodge meetings. Last year I was having such a conversation with one of my friends — coincidentally a brother that I met on a Usenet Freemasonry group — and we were talking about the different aspect of the Freemasonry. I was explaining that it seemed to me that we had a lot of different reasons for joining a lodge: social aspects, esoteric aspects, community, fund raising, ritual, etc. My friend, who shall remain nameless, said that in his considered opinion, he liked to break it down to three primary reasons (three being a “prime” Masonic number, after all) that he saw for joining our fraternity, and coinciding with our tenets: Friendship, Morality, and Brotherly Love. He opined that pretty much all of our brothers joined for at least one of those reasons. He went on to explain that in his view, those brothers who are drawn by the chance to give back to the community, or the other charitable aspects of Freemasonry are in the “Relief” camp. They are motivated by the good that they can do for those who are less fortunate. In the old days (before my time), we were often known as “the quiet fraternity” because many of our members simply did generous and charitable things without alerting the media. Now we tend to make a bigger deal out of it, ostensibly for the purposes of “becoming better known the community,” but the essence is the same: charity is a virtue. Some brothers are in it for the social aspects. 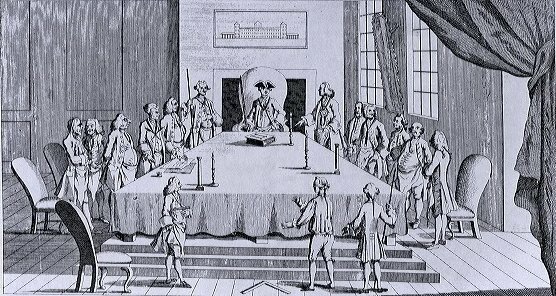 On other online forums I’ve seen this kind of thing mocked, but I think that is because many of us really don’t understand that the early days of Freemasonry were not in stodgy, serious lodge rooms, but in convivial inns and taverns, surrounded by food, drink, and good friends. Certainly, there is nothing wrong with wanting to enjoy the company of one’s fellows. And I don’t think that anyone could possibly argue against making a visitor to one’s lodge feel friended and welcomed. Joining for Friendship is important, because many of those brothers, recognizing the need to maintain the organization, go on to other positions in the Craft. And of course, there are those that join because of the connection that Freemasonry has developed with the esoteric. Whether it is the well known Square & Compasses, or the various symbols discussed in our workings, or the lesser known alchemical workings, there are those who see Freemasonry as a connection to the philosophers of the past and the wisdom of the future. Those are the brothers who joined for the morality; they are the truth seekers. Naturally there are those who joined for one reason, but discovered others. And there are those who enjoy the different aspects, and who flit from one to the other, as their interest takes them. Which camp do you prefer? Who wore a Masonic Pin. It’s edges were worn quite thin. To give the old brother his due. I said, “I see you’ve traveled east”. He said, “I have, have you”. Who’ve climbed the inner stair. Death is near but I don’t despair. And I’m dying upon the square.